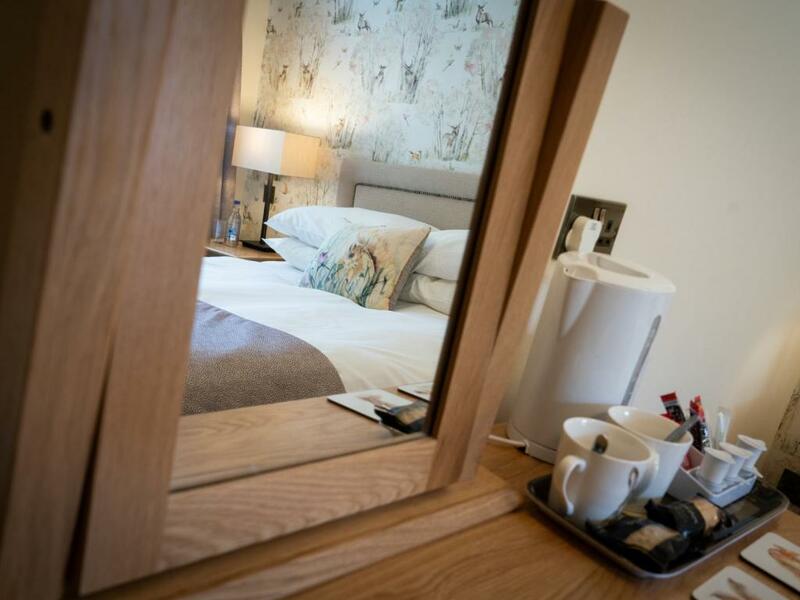 Our newly renovated Deluxe Double Room offers a beautiful ensuite bathroom with a bath and overhead shower, a luxurious, comfy double bed, a 32inch television, USB Charging Portals, bottled water on arrival and tea and coffee making facilities. 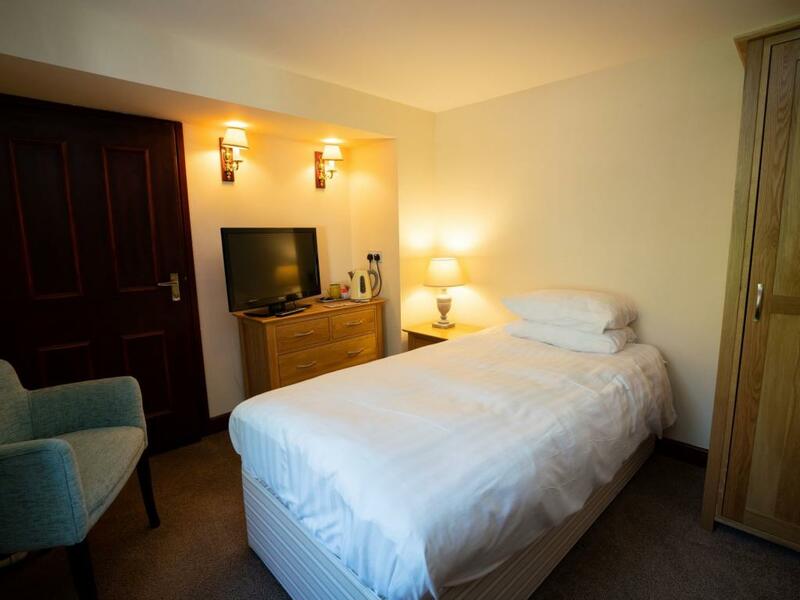 This Multi Purpose Room can be adapted as a Family Room offering a King Bed and a Single Bed or a triple room offering Three Single Beds. 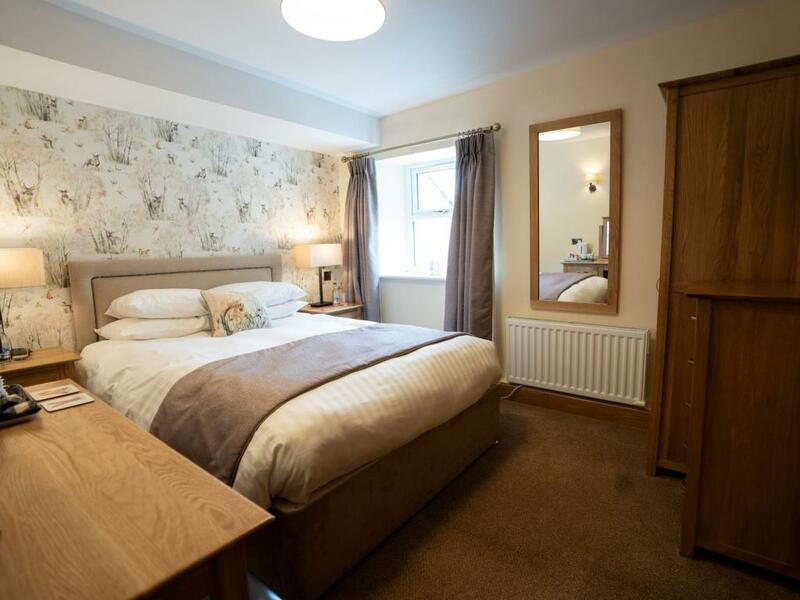 This room offers a 32 inch television, USB Charging Portals, An ensuite bathroom offering a bath and an overhead shower and tea and coffee making facilities. 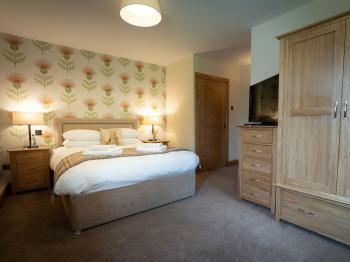 Our Deluxe King Room is also another one of our multi purpose rooms which can be adapted to a Twin room if needed. 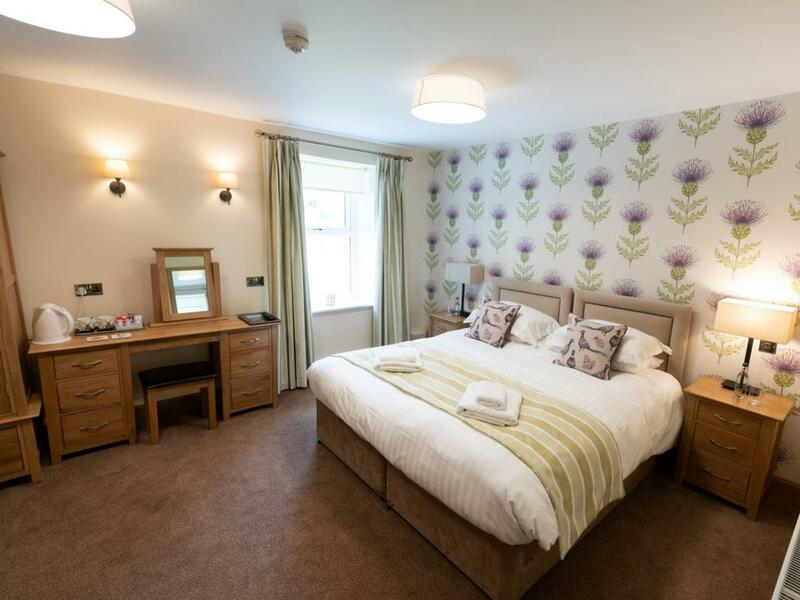 With stylish décor these recently refurbished rooms have a luxurious ensuite bathroom with a bath and overhead shower, 32 inch television, USB Charging Portals and tea ad coffee making facilities. 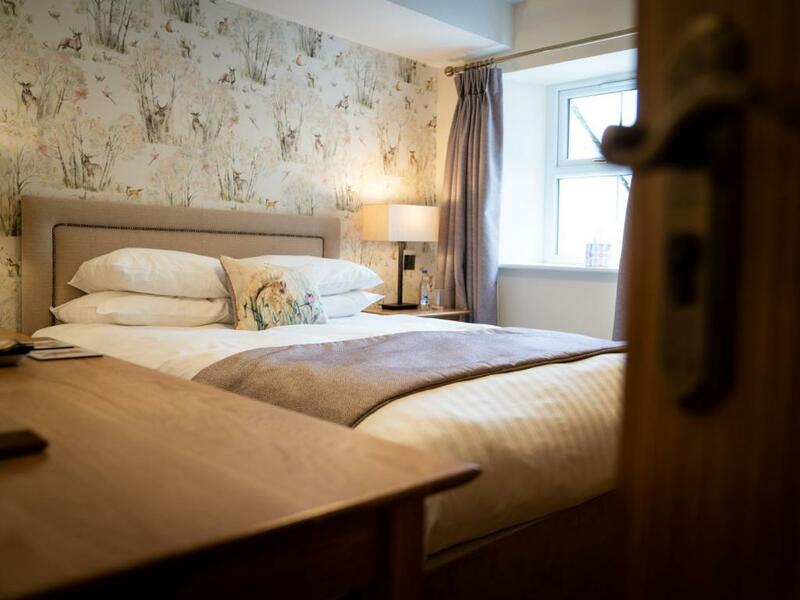 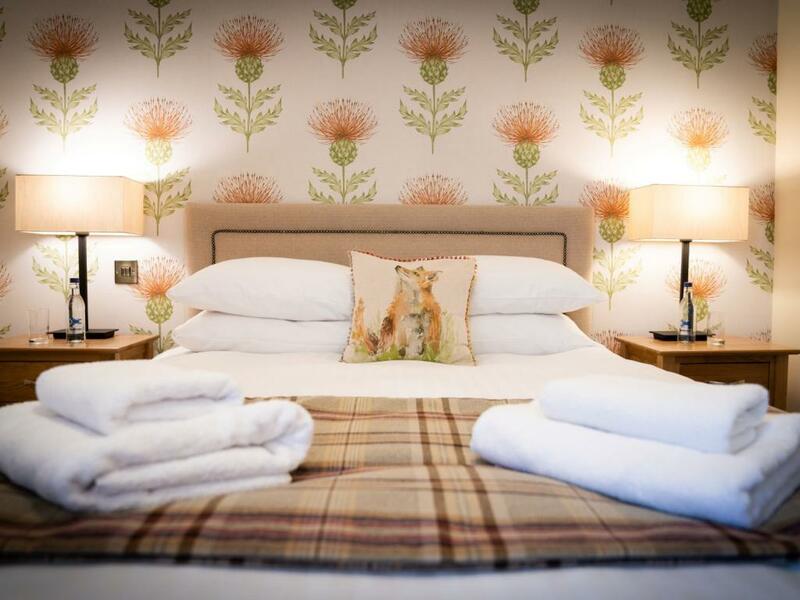 Our Deluxe King Room is newly refurbished and decorated to a very high standard, with a very comfortable King Size Bed and beautiful views of the village. 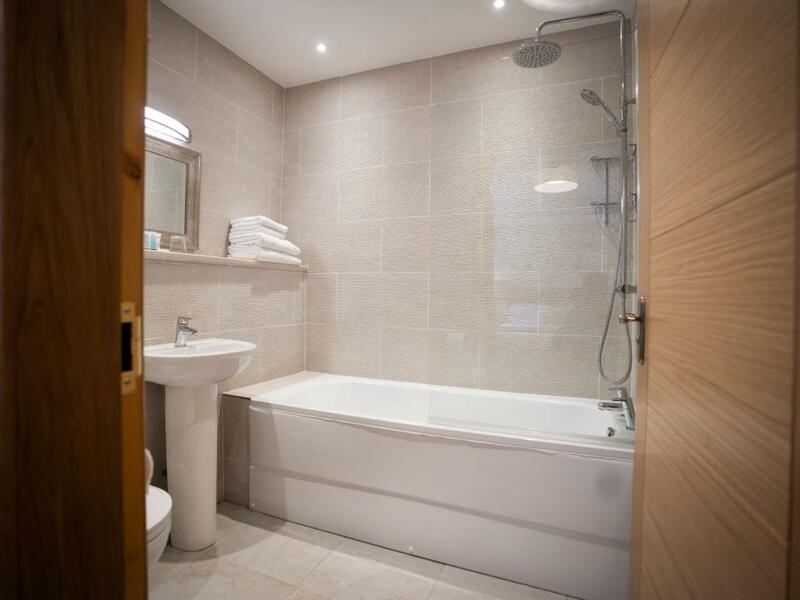 This room has a luxurious ensuite bathroom with a bath and overhead shower with a 32 inch television, USB Charging Portals, and tea and coffee making facilities. These rooms are the larger of our standard doubles. 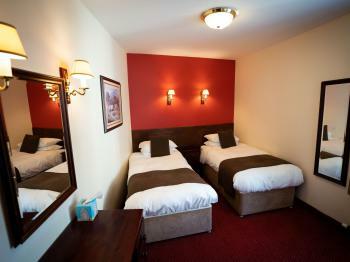 They can also be booked as twin rooms. 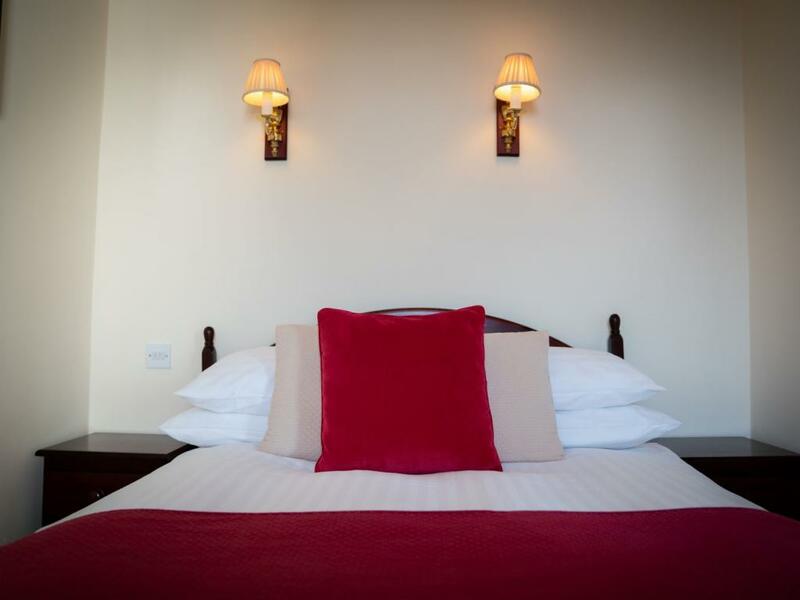 With traditional décor and stunning views over the village, these rooms offer ensuite bathrooms with a shower, a 22 inch television & tea and coffee making facilities. This room is the only single room on the property. 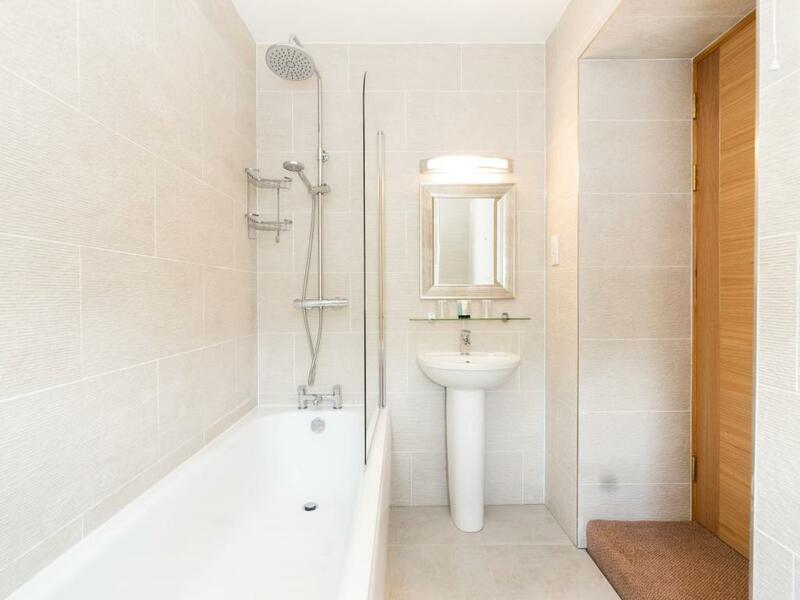 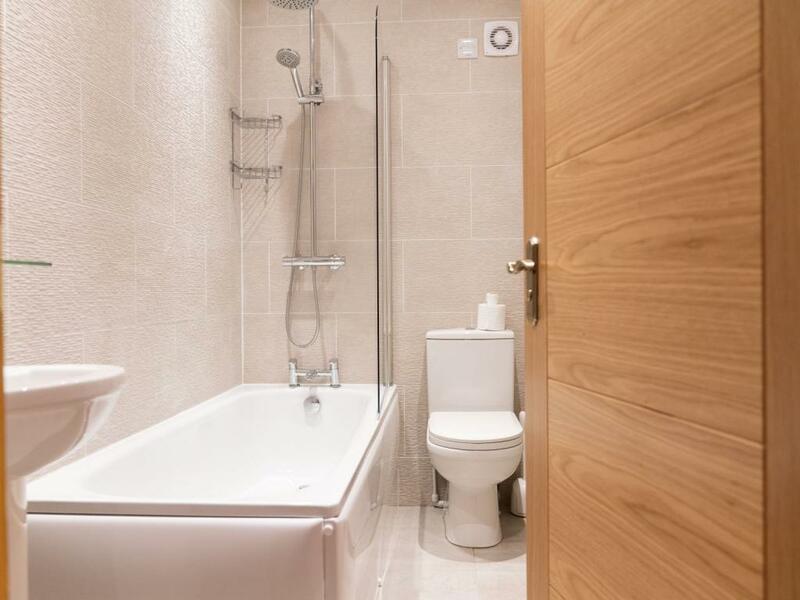 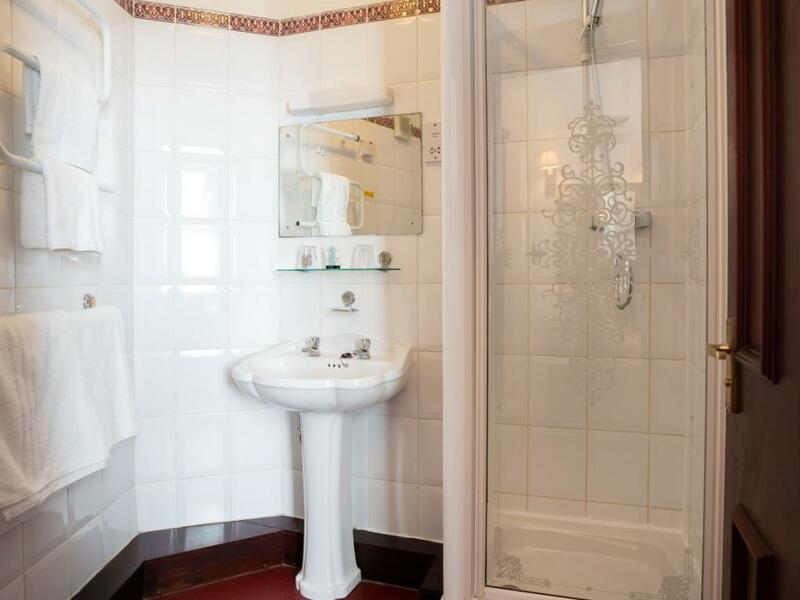 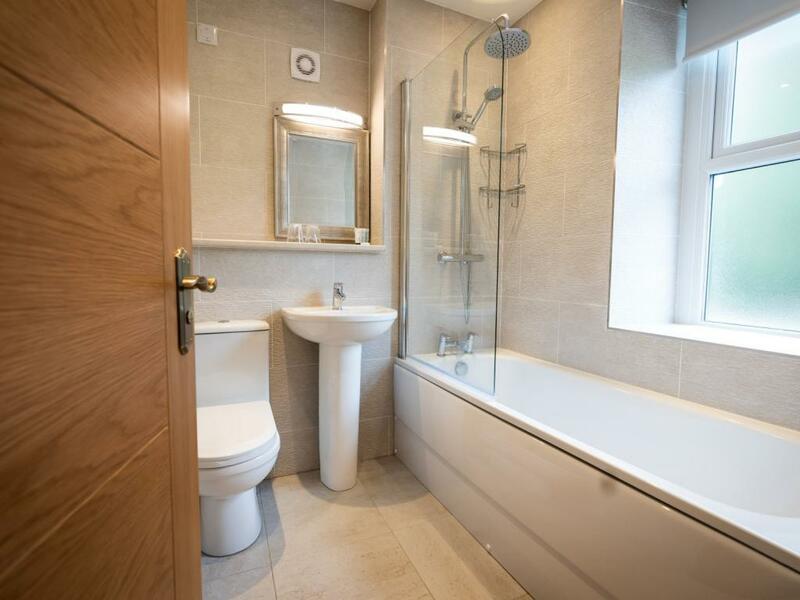 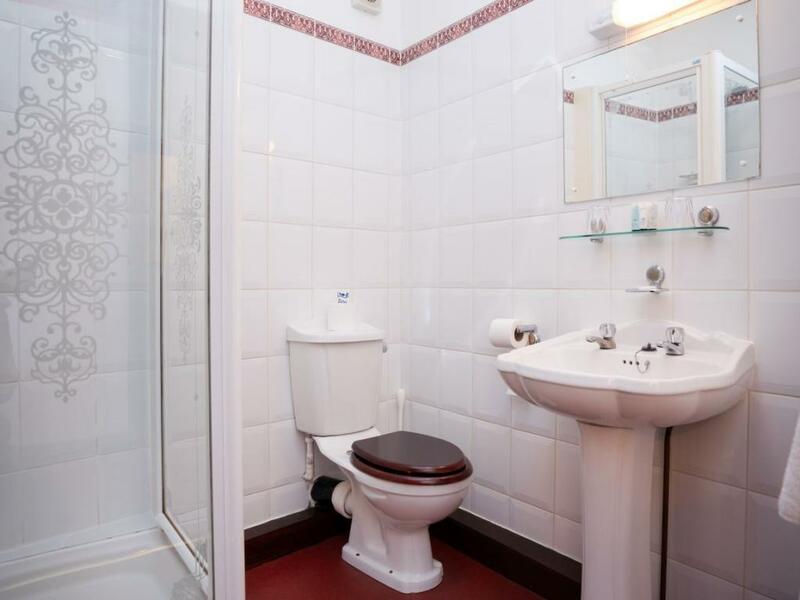 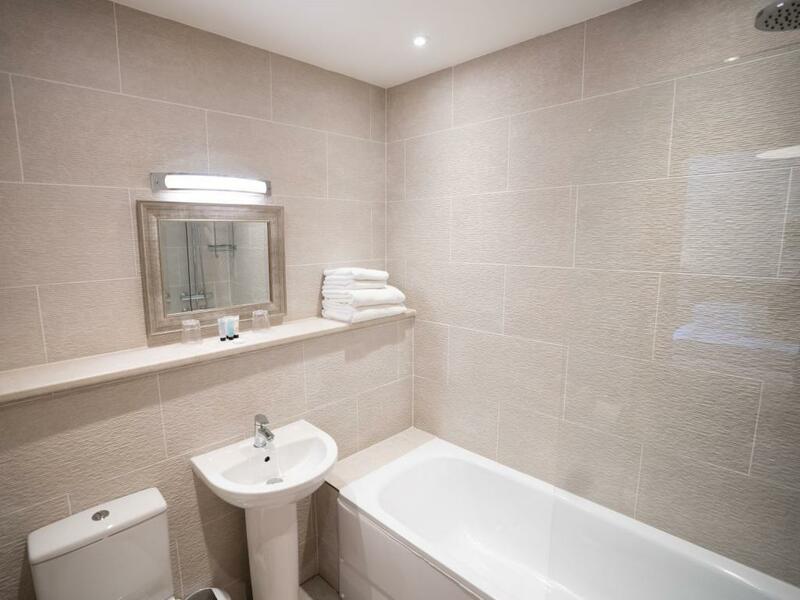 With traditional décor, an ensuite bathroom with a shower, 32 inch television and tea and coffee making facilities, this cosy room is perfect for anyone travelling solo. 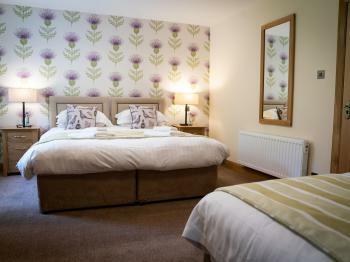 These rooms are the smaller of our standard double rooms, however still spacious & cosy. 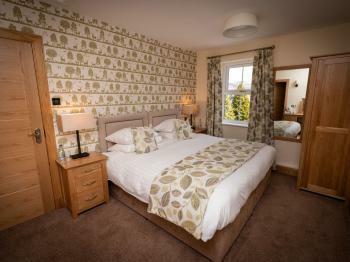 These rooms are traditionally decorated with a cosy feel. These rooms offer ensuite bathrooms with a shower, tea & coffee making facilities and a 22 inch television. 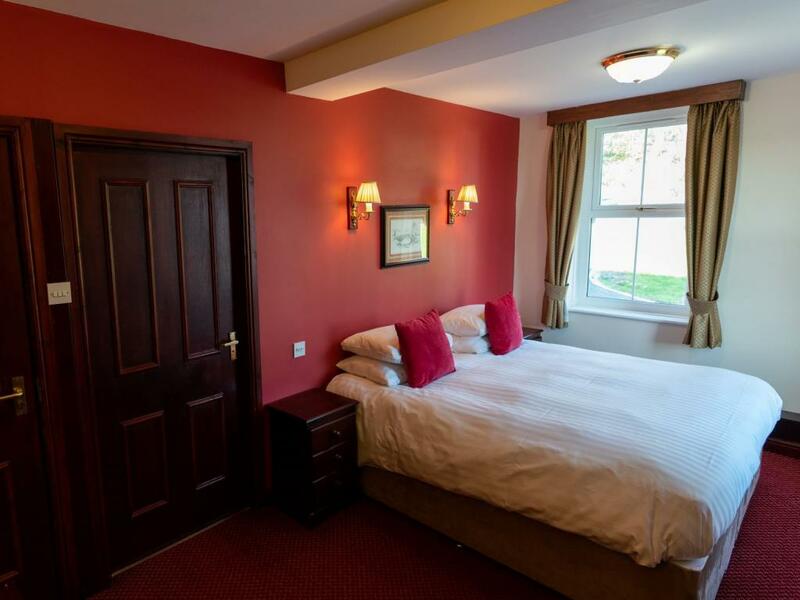 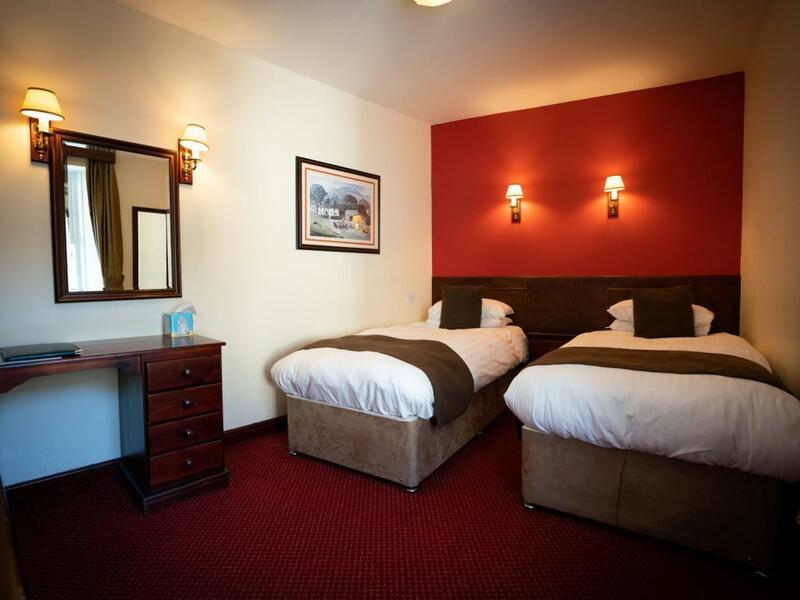 Our standard twin room is spacious & practical, ideal for friends on a walking holiday. 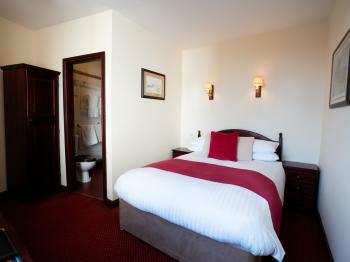 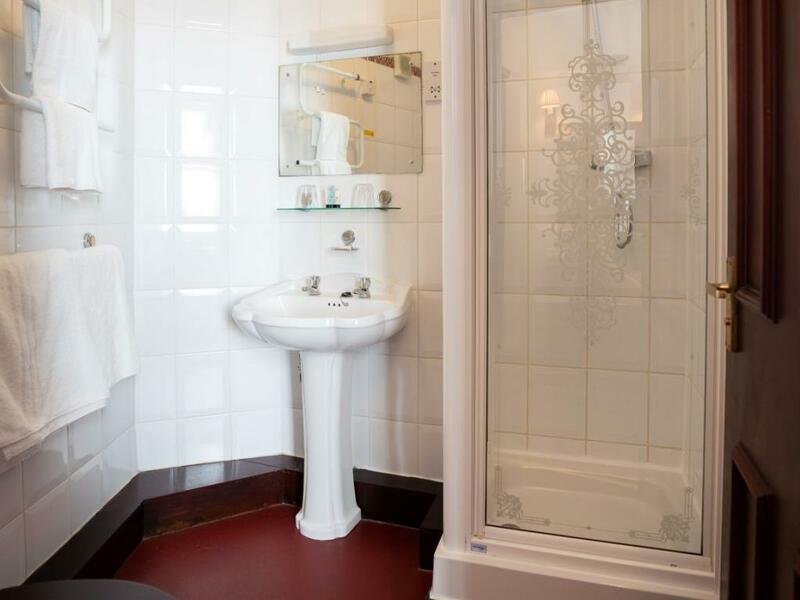 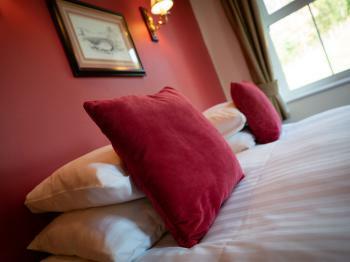 The room is equipped with an ensuite bathroom with a shower, tea and coffee making facilities and a 22 inch television. 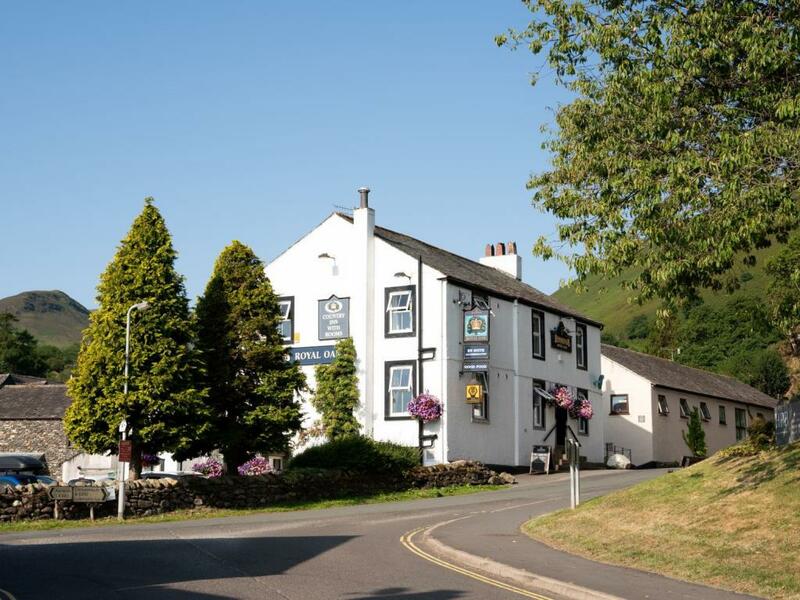 The Royal Oak boasts fantastic scenery and surroundings and makes the perfect base for walking holidays, there are a wealth of footpaths and roads for the less adventurous and always with a stunning view around the corner. 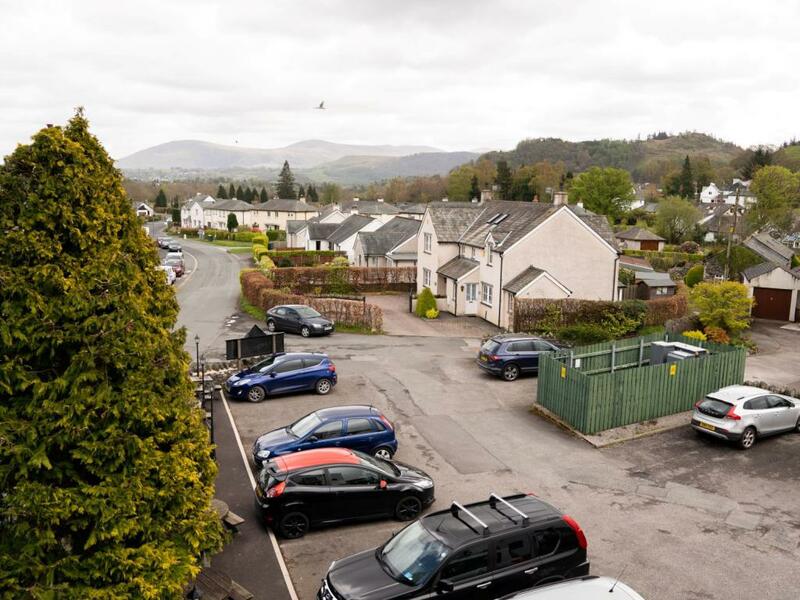 For those that prefer to drive or cycle there are two passes that start in the village and will take you to two of the most picturesque areas in the lakes. If you climb the Whinlatter pass you will reach the Visitor Centre where you can admire the Lakes most famous couple – a pair of nesting Osprey. 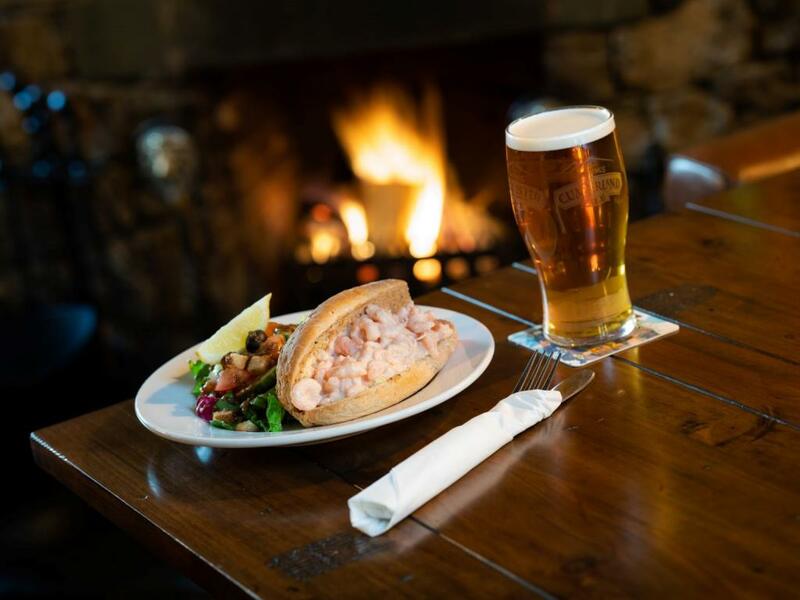 In the hillside above the village you will see the remains of an old copper and zinc mine, the main reason the village came to exist at all. 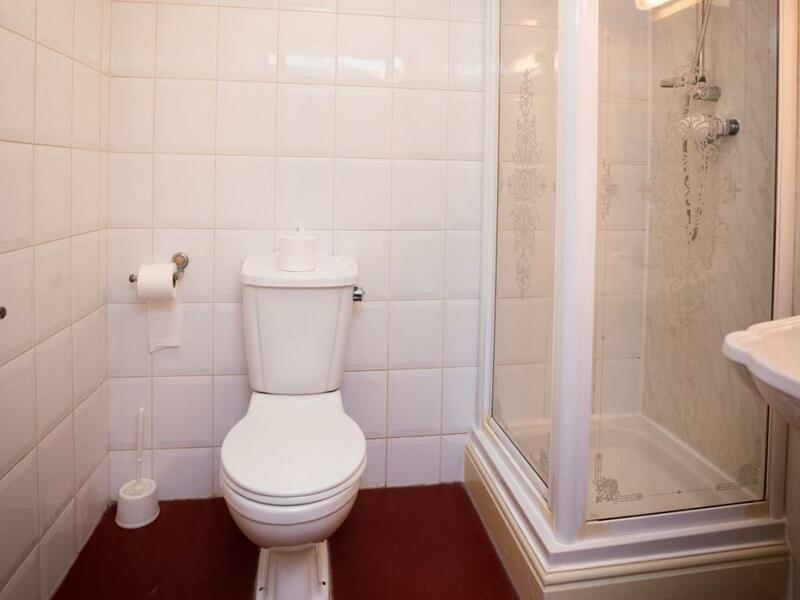 The mine only closed in 1990. 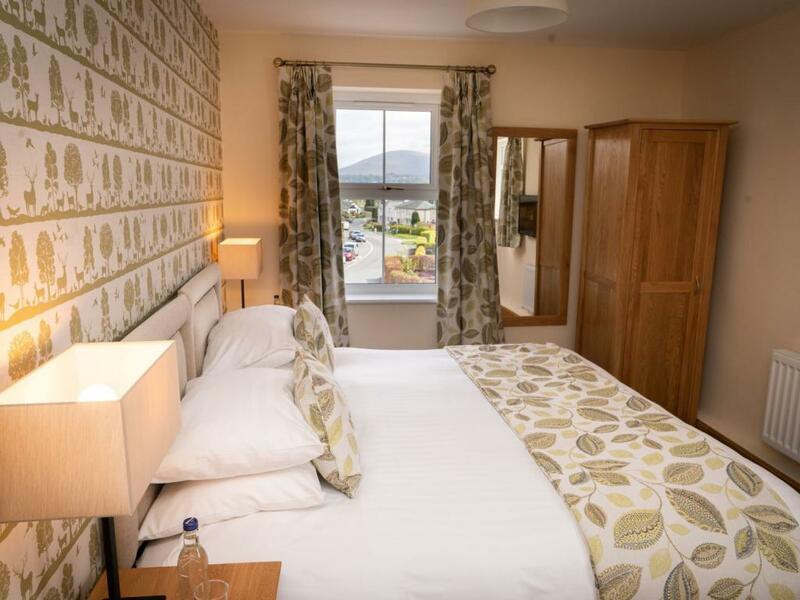 These days Braithwaite is a walkers paradise, access to many of the fells start here including Barrow, Causey pike and Grisedale Pike. The locally famous Coledale Horseshoe can also be started and finished in the village. A short distance across the valley floor is Skiddaw, standing at over 3000 feet it is the third highest fell in the Lake District. 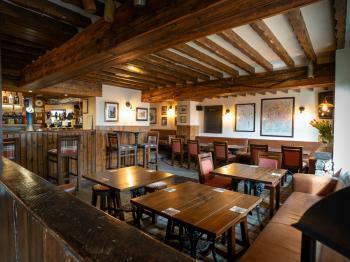 Once you have finished on the fells join us in our newly refurbished bar area to sample one of our local real ales. Our bar is stocked with a full selection of local Jennings Ales, at certain times of the year guest and seasonal ales are also available. We also have a large selection of wines, spirits, malt whiskies and soft drinks if beer is not your thing. 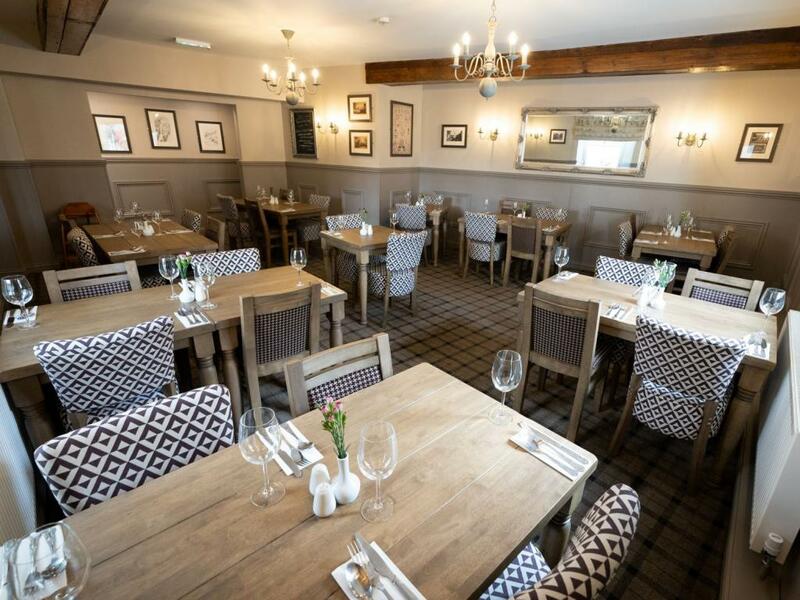 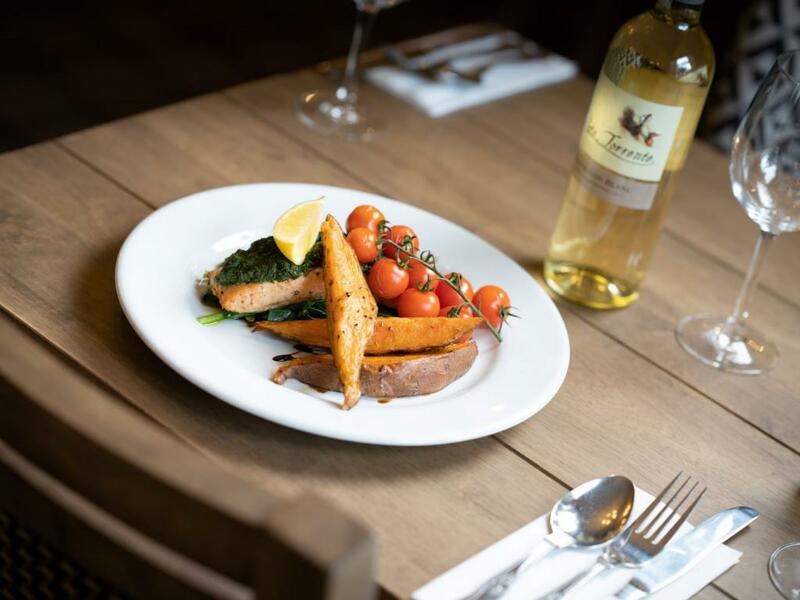 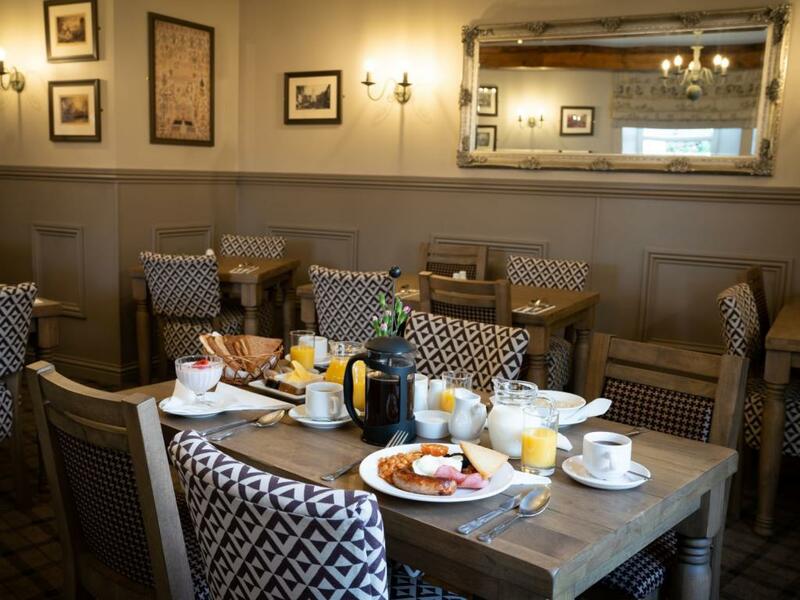 Food at the Oak is in keeping with the style and demand of its customers – hearty portions of traditional pub food served in either the bar area or the restaurant. 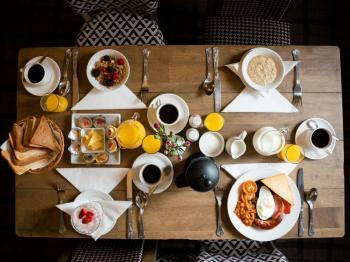 Full English breakfast is served every morning and packed lunches can be provided for those heading out onto the fells. 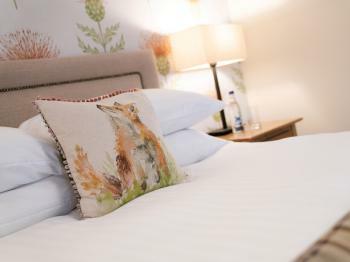 With ten en-suite comfortable rooms the Royal Oak makes a perfect base for families, couples, walking parties and business trips.